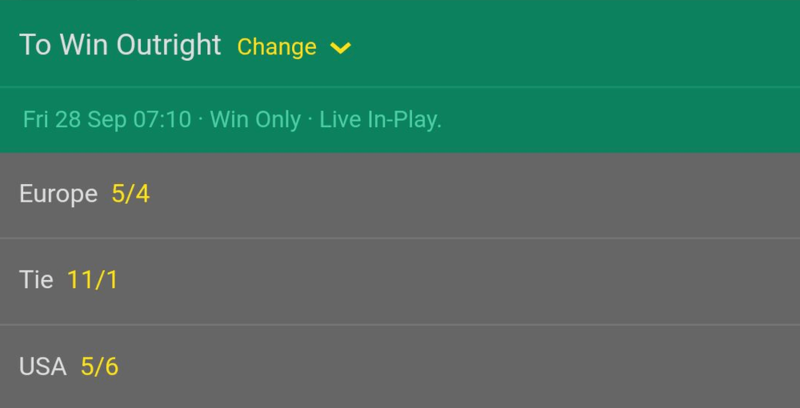 A guide on how to bet on the 2018 Ryder Cup at bet365. 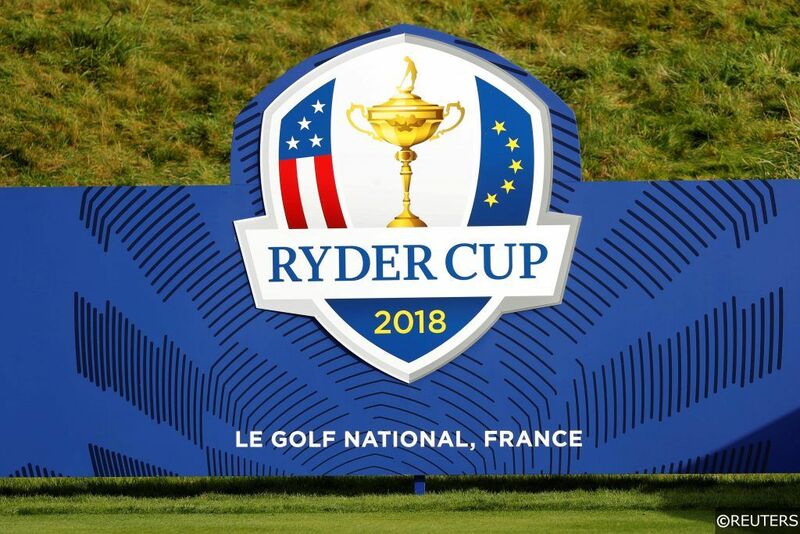 Highlighting all the key Ryder Cup betting markets available to Golf bettors. 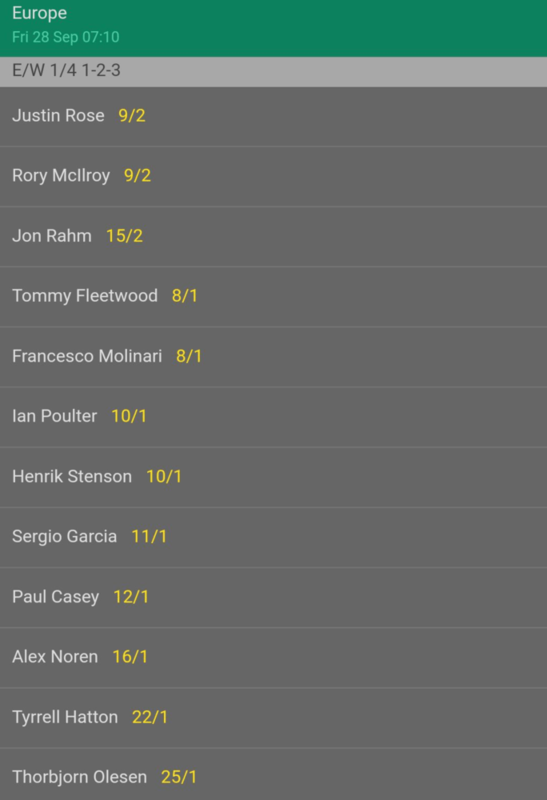 Check out bet365’s Ryder Cup offers and betting odds now. 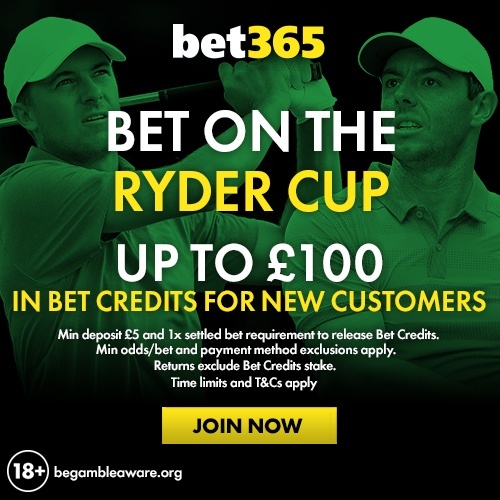 If you don’t have an account bet365 have a great new customer offer for new players looking to bet on the Ryder Cup. Next step is to fund your betting account so you have money to place bets with. 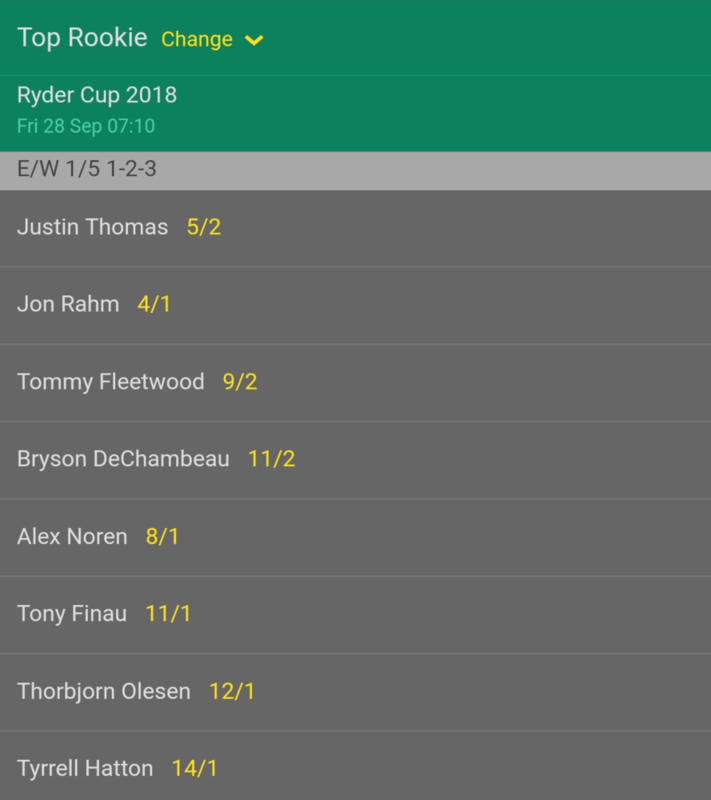 Next step is to select which markets you wish to bet on the Ryder Cup. The USA haven’t won the Ryder Cup on European soil since 1993. The European team have some strong course form and history on their side but USA have six of the world’s top 10 players in their team. The European contingent have some strong course form between them. 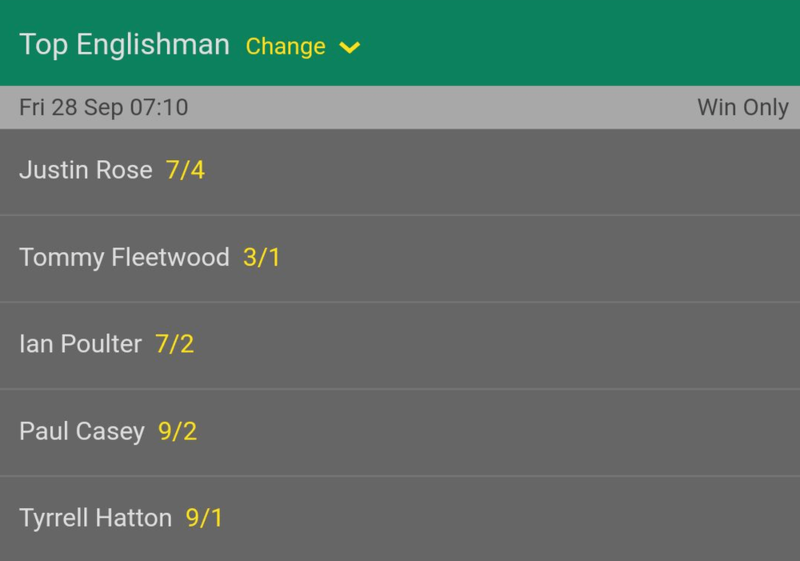 Tommy Fleetwood won the Open de France back in 2017 and Alex Noren could provide some value at 16/1 having won the 2018 renewal back in July. 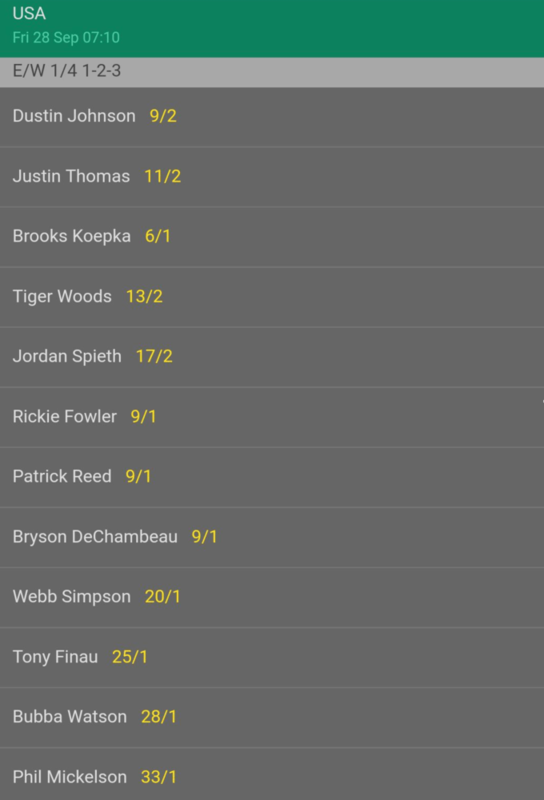 Justin Thomas finished tied 8th during the 2018 Open de France just 3 shots back from Alex Noren so he could be value at 11/2. The course does suit long hitters and nobody hits it longer on tour than Dustin Johnson. Tiger Woods looks like his old self again coming in fresh off a victory at The Tour Championship last week. Europe may have five rookies in their ranks but they not rookies when it comes to success. All won on The European Tour during the qualification period and Bjorn told Sky Sports “his is probably the strongest group of rookies we’ve ever had. They’re extremely talented, they’re a great bunch of guys and have achieved great things in their careers so far”. Justin Rose was world number one last week. His confidence will be sky high after winning the 2018 FedEx Cup and banking a cool $10,000,000 in prize money. Bonus tip: Check out our Ryder Cup betting tips and predictions to help you make a smart bet on the action. Categories: Golf and Ryder Cup. Sports: Golf.